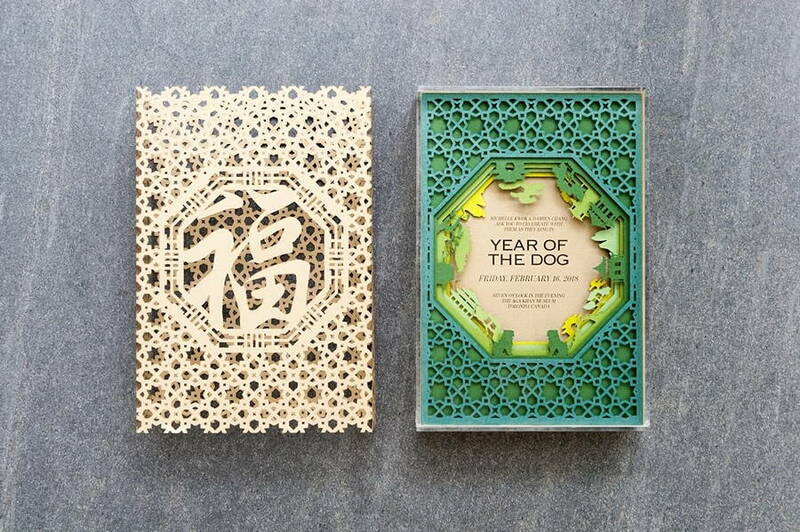 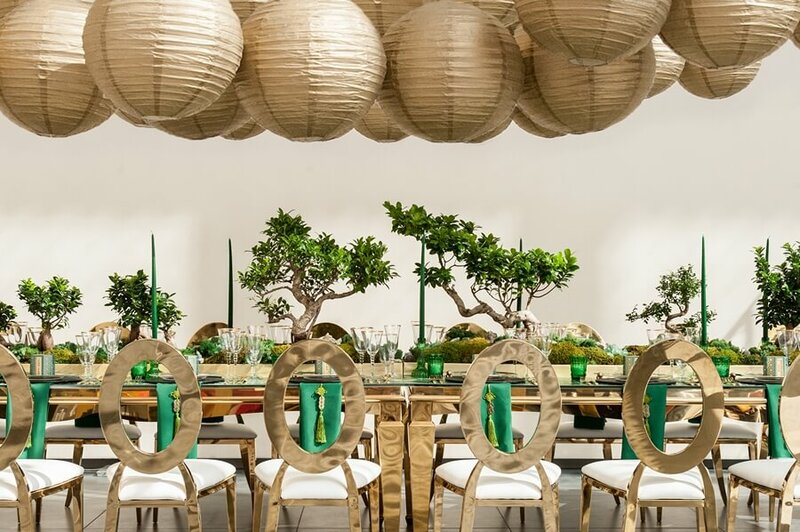 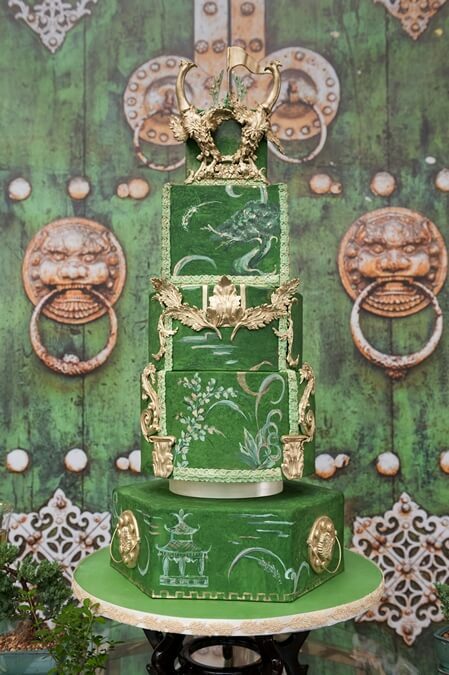 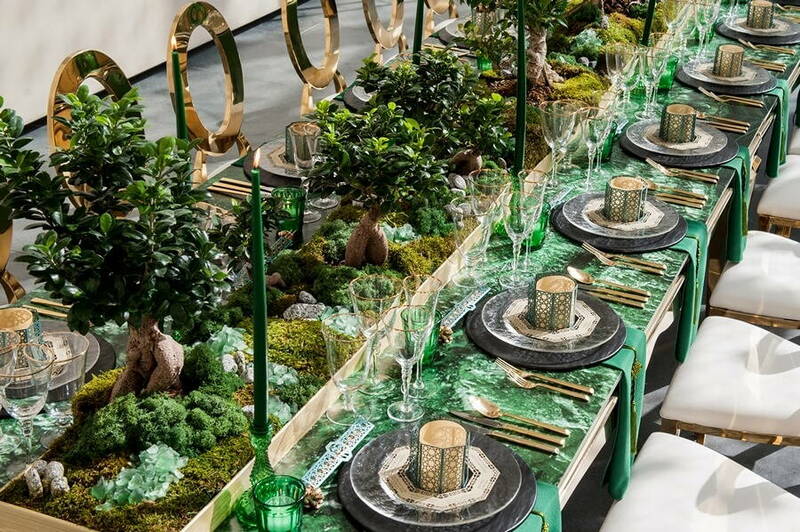 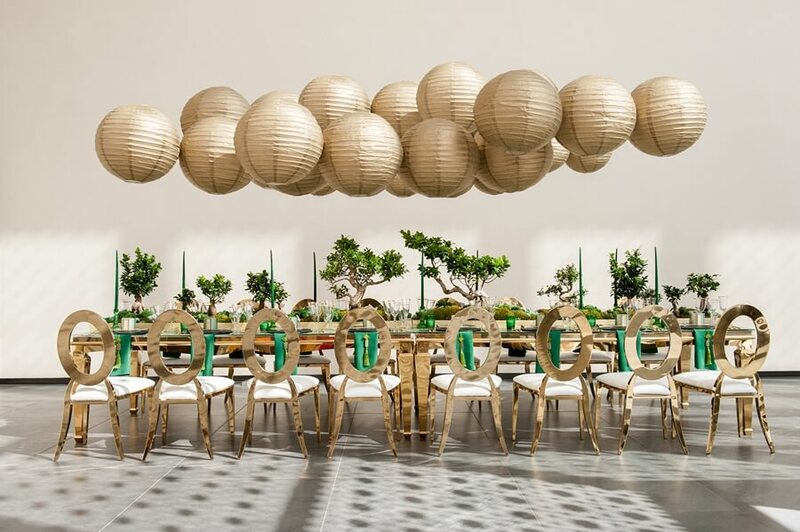 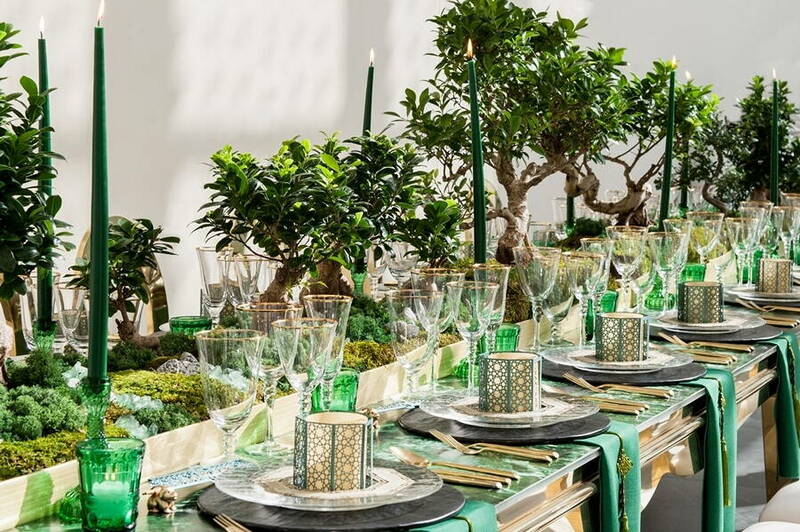 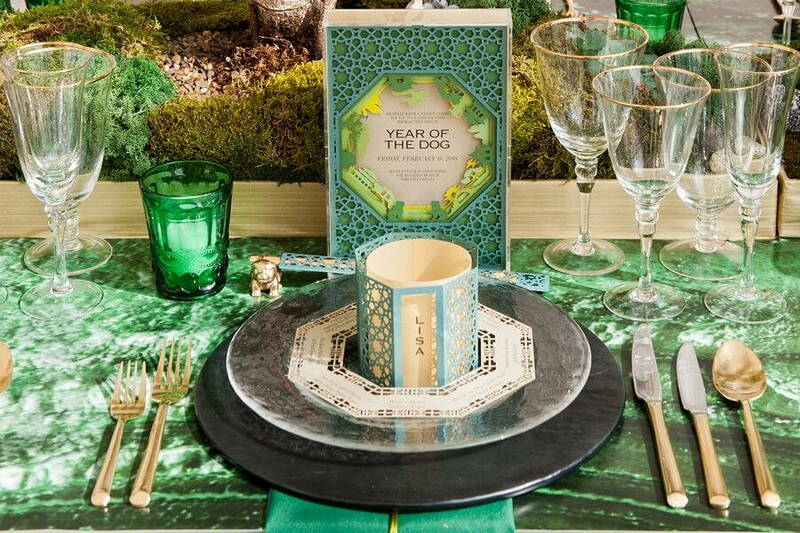 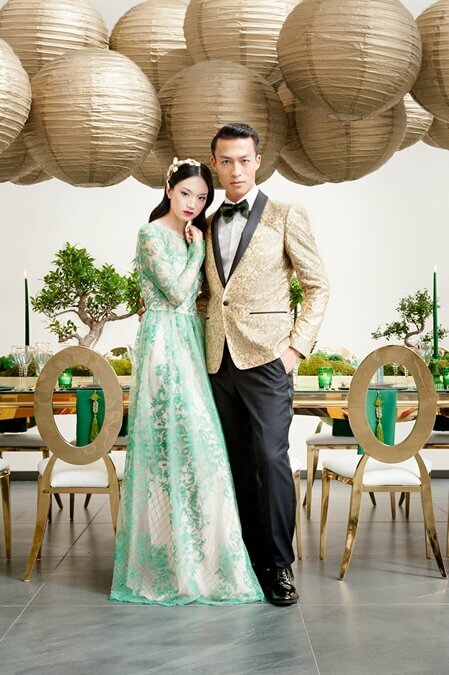 Drawing from Lunar New Year family dinners in years past, Asian Fusion Weddings sought to incorporate pops of green, Patone’s colour of the year for 2017, instead of the Chinese traditional red, for a fresh take on tradition in the first part of this gorgeous creative at Aga Khan Museum. 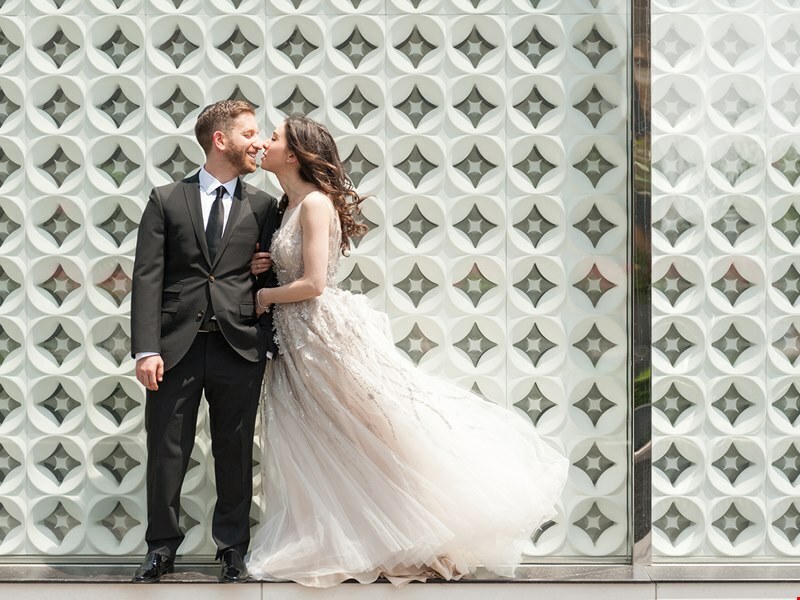 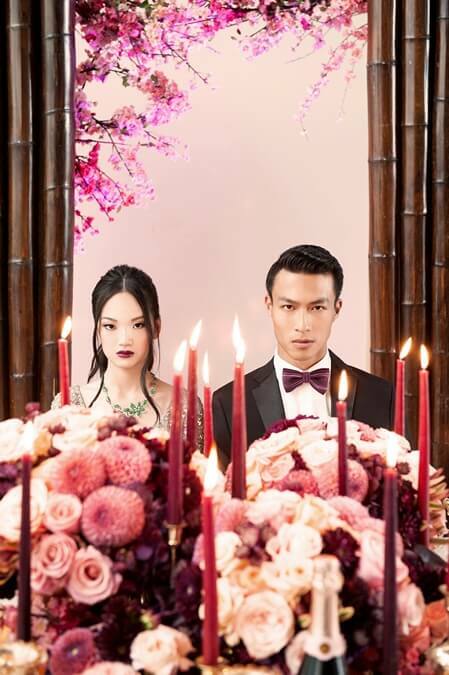 Beautifully shot by Pepper and Light – who doubled as a creative director for both shoots as well – you’ll want to check out this gorgeous stylized shoot. 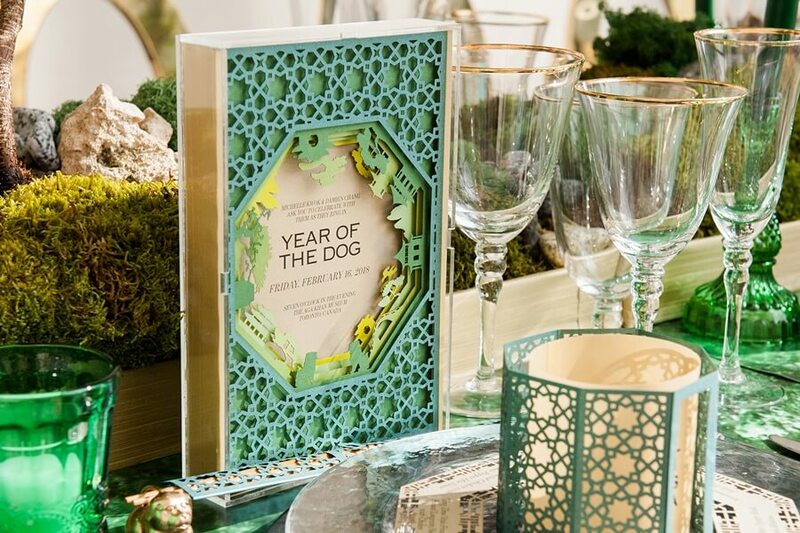 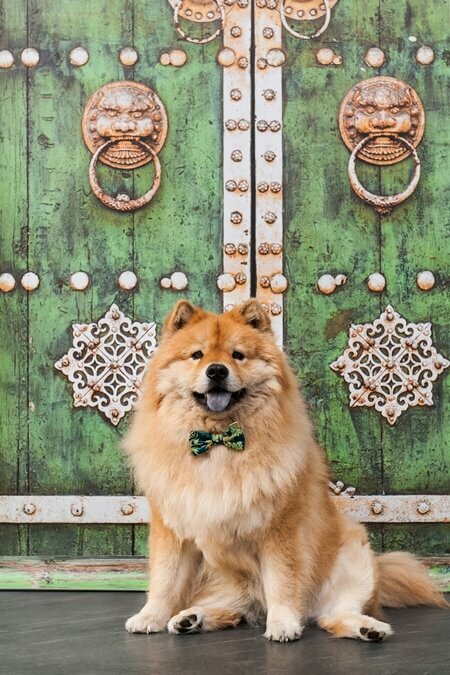 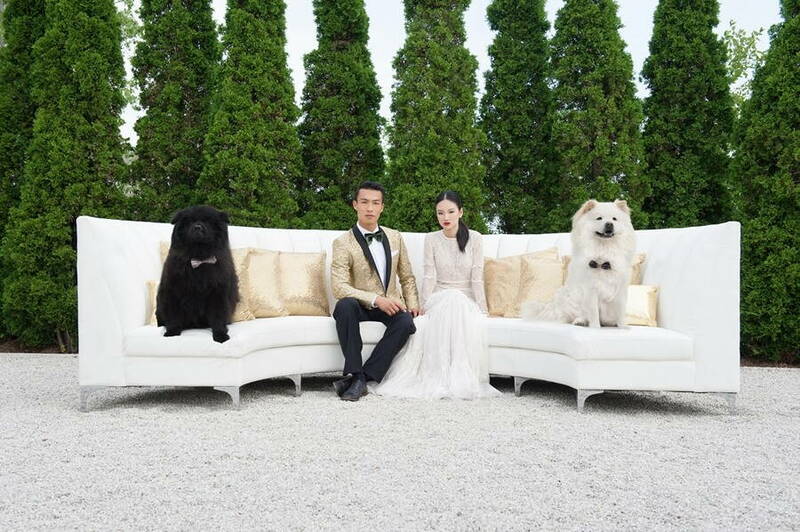 The Year of the Dog becomes a chic celebration, with the help of sophisticated Bonsai trees from Tropical Expressions, dreamy paper lanterns by Toronto Paper Lanterns, gorgeous decor in clean neutral shades with pops of jade and emerald, courtesy of Jackie O Florists, and, of course, adorable pups from Merlin’s Hope Rescue (adorably styled by El Cachorrocouture). 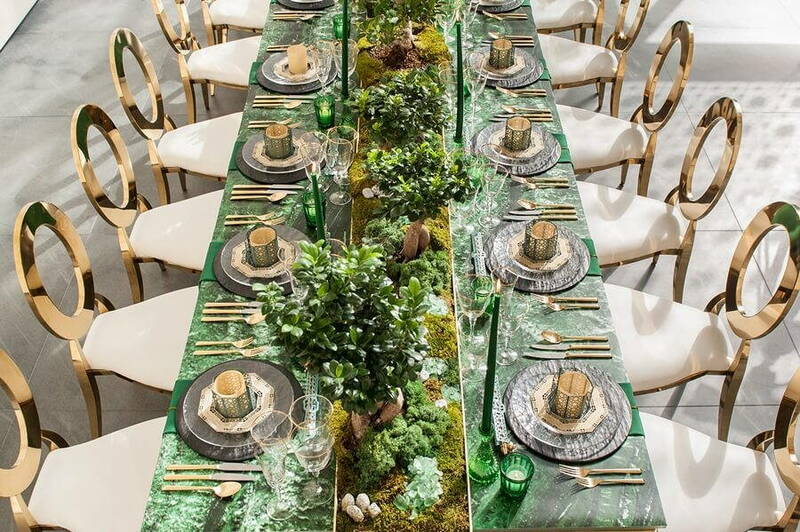 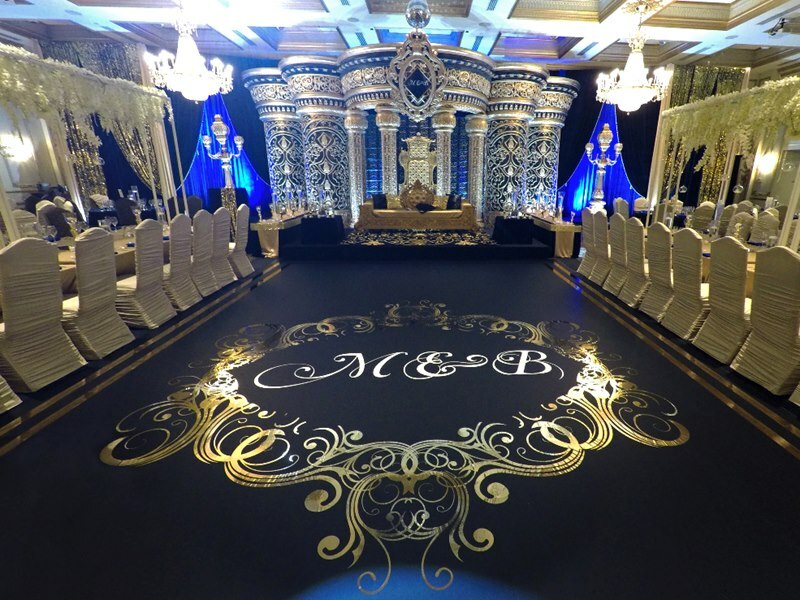 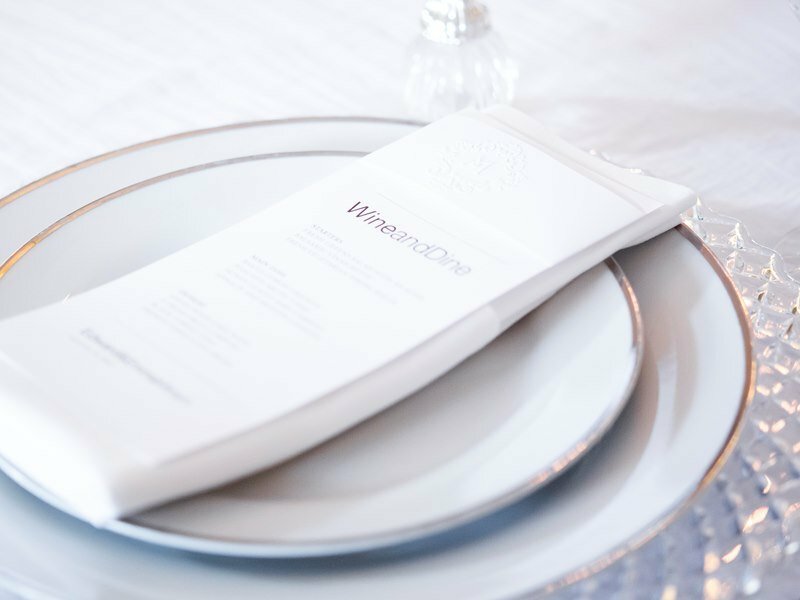 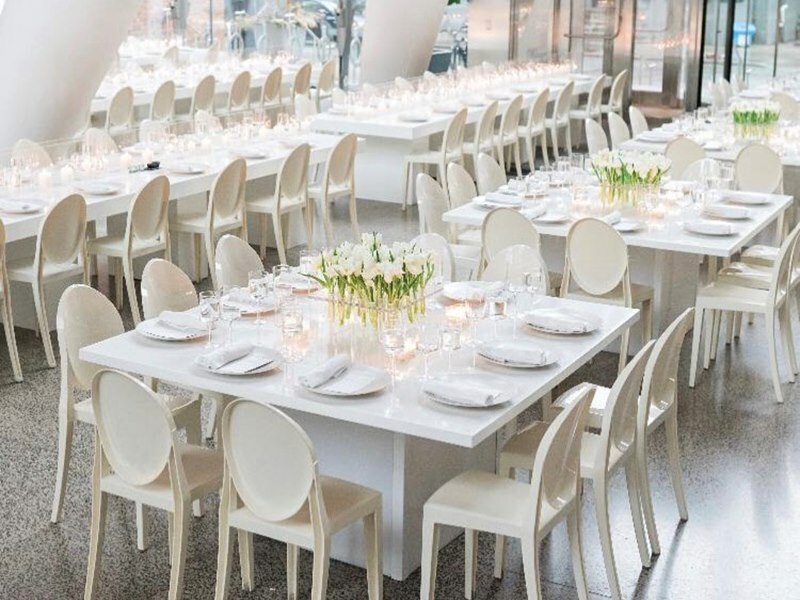 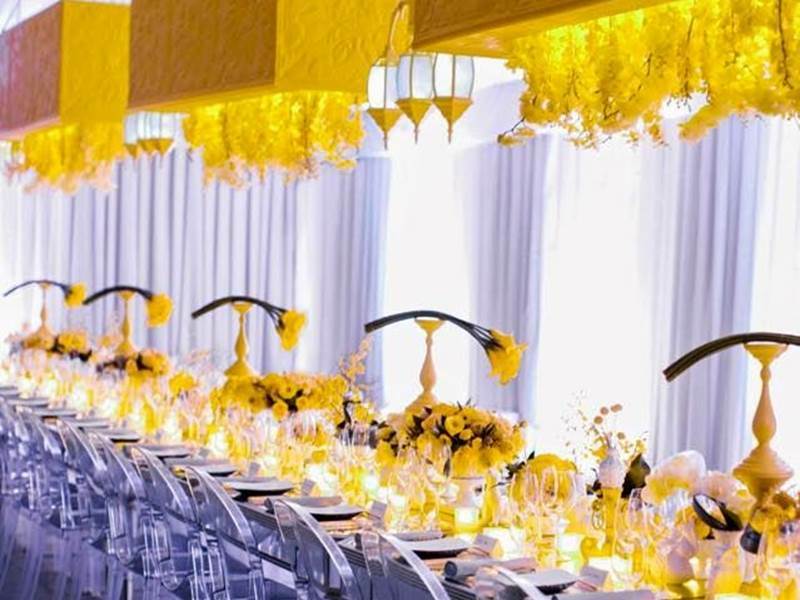 A traditional dinner suddenly becomes timely and stylish, thanks to glam table top rentals from Chair-man Mills, modern tables and chairs from Detailz Couture Event Rentals and a cool table vinyl by Designer Dance Floors (Exotik Wrapz). 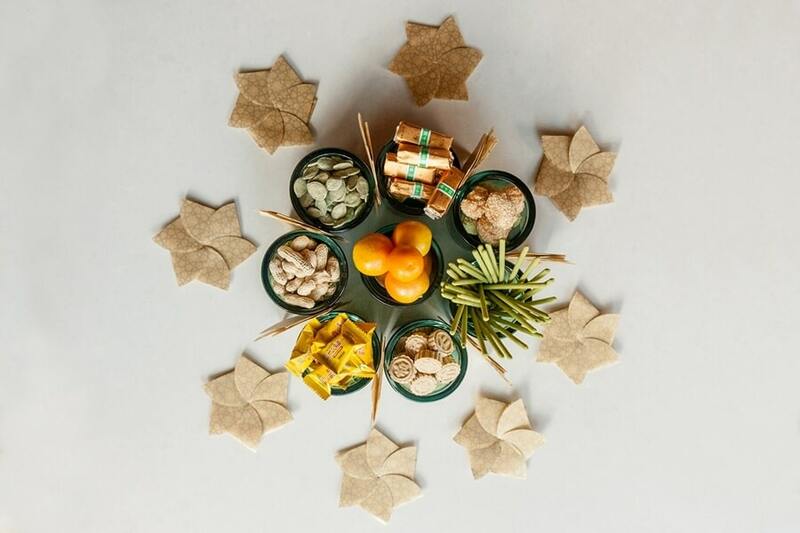 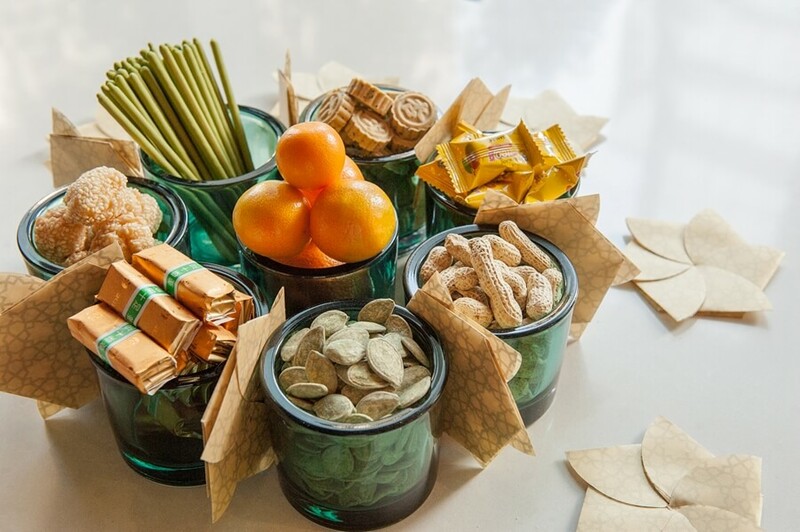 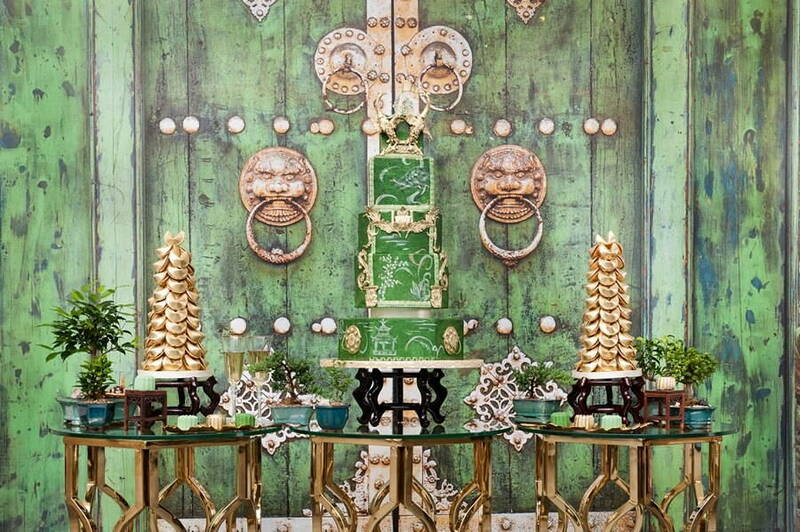 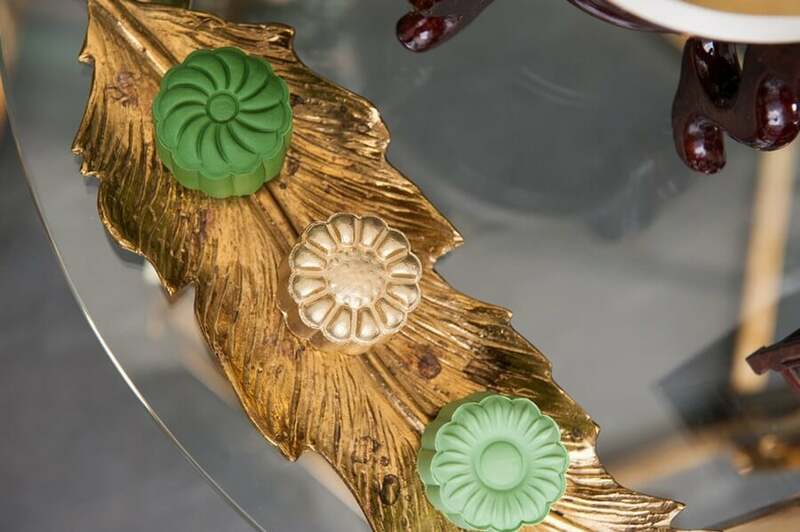 The delectable Chinese-inspired sweets table was created by the talented minds at Nadia and Co. 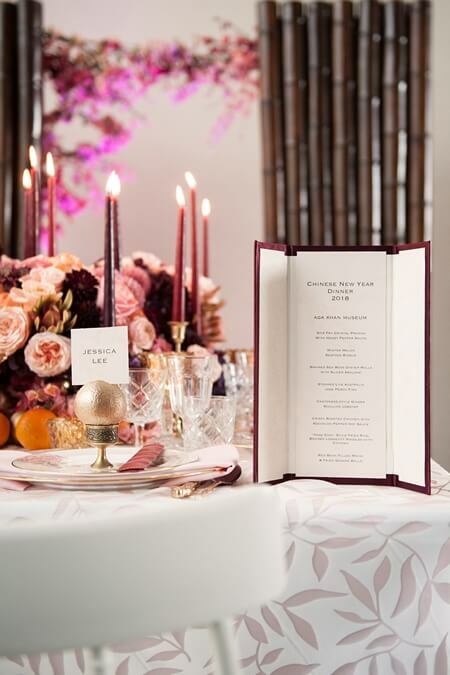 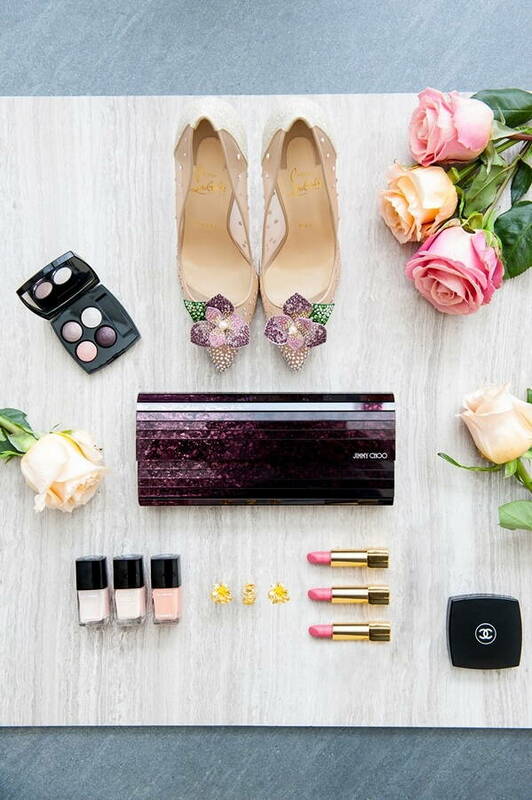 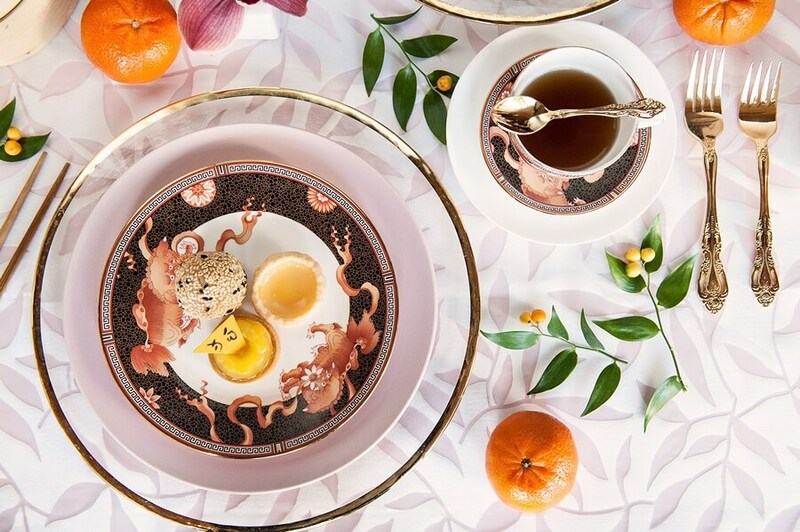 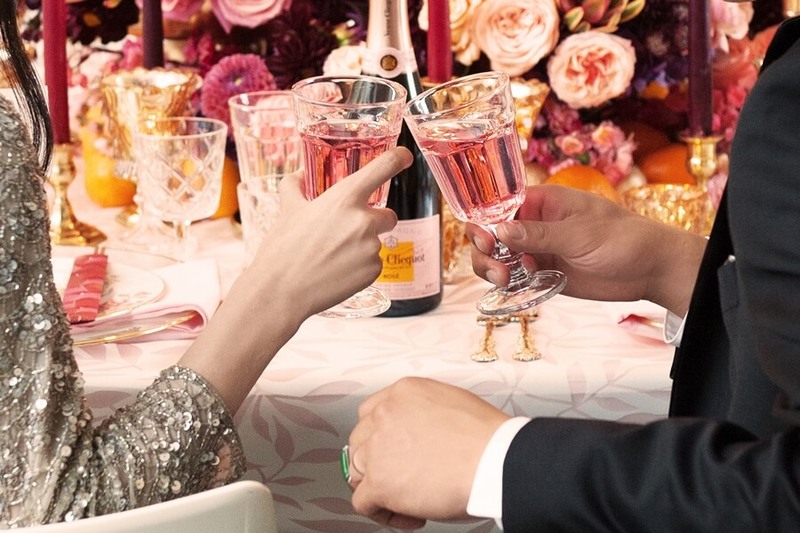 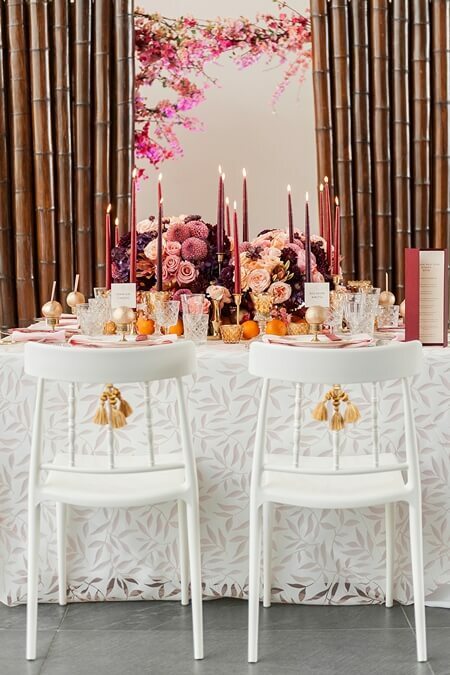 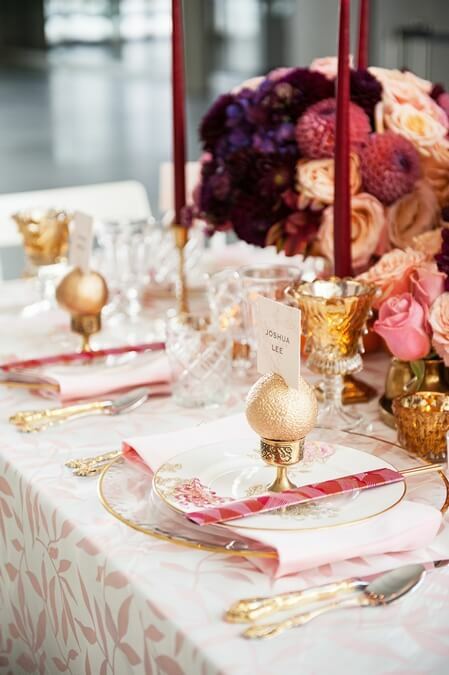 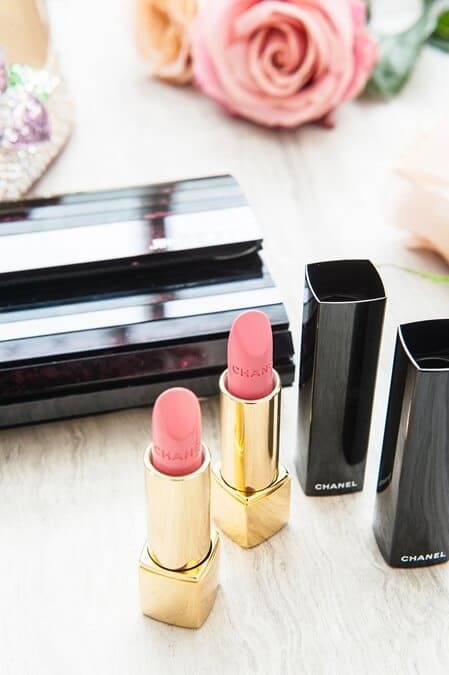 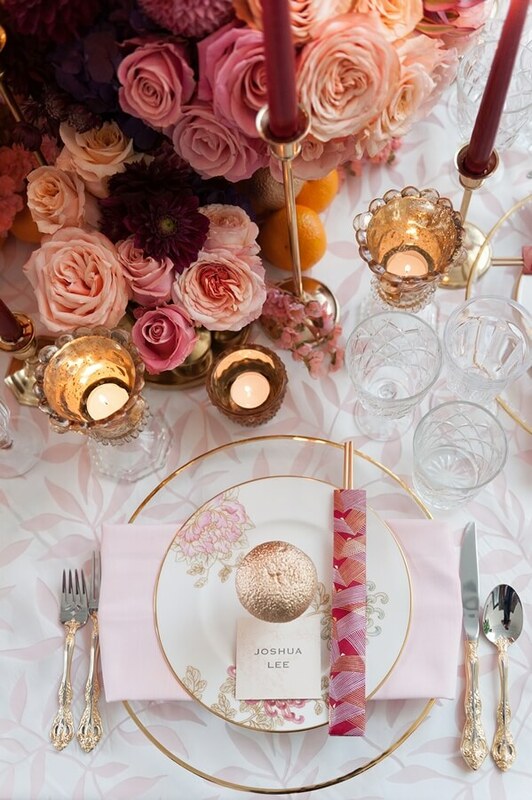 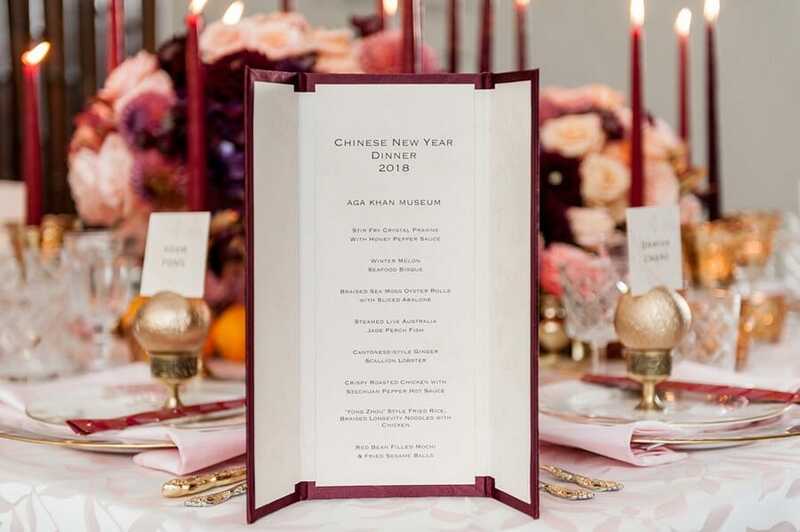 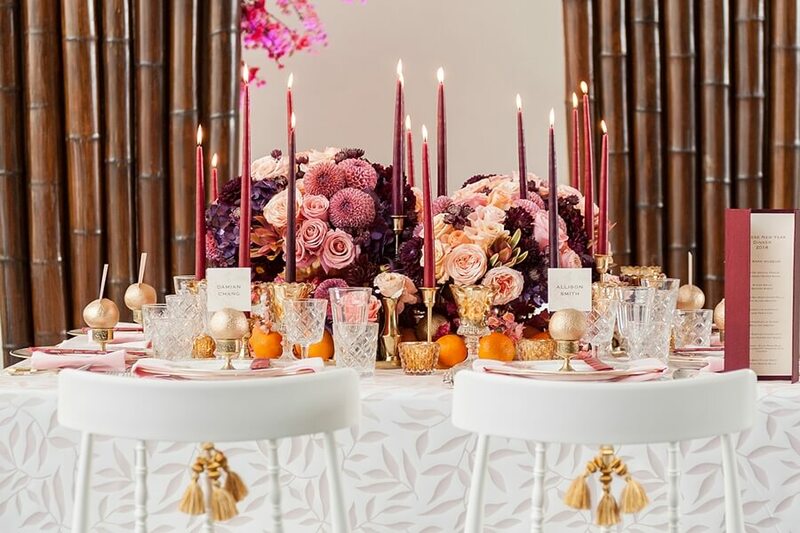 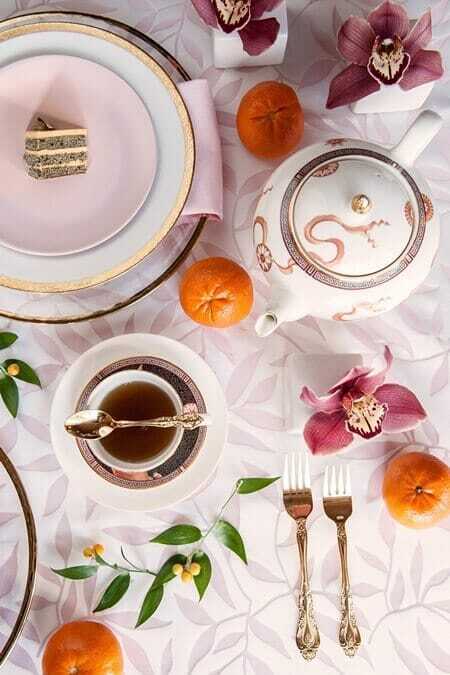 The second look put together by Formosa Events takes a softer, more feminine approach to the New Year by incorporating subtle shades of pinks and purples to the celebration. 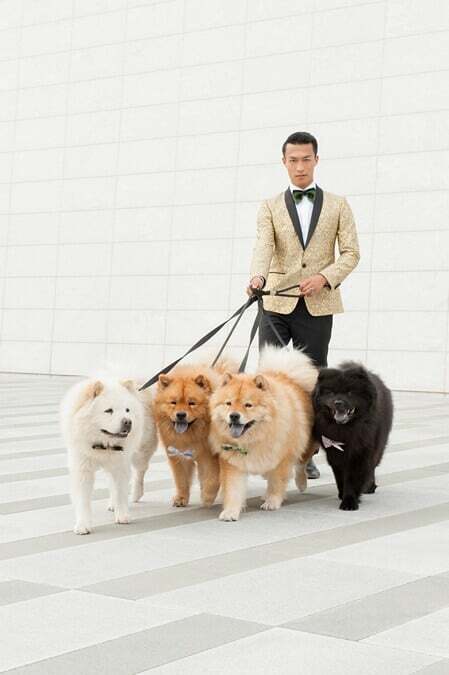 A sleek tone, as well as the addition of a sports car, adds a hint of modern masculinity to the shoot. 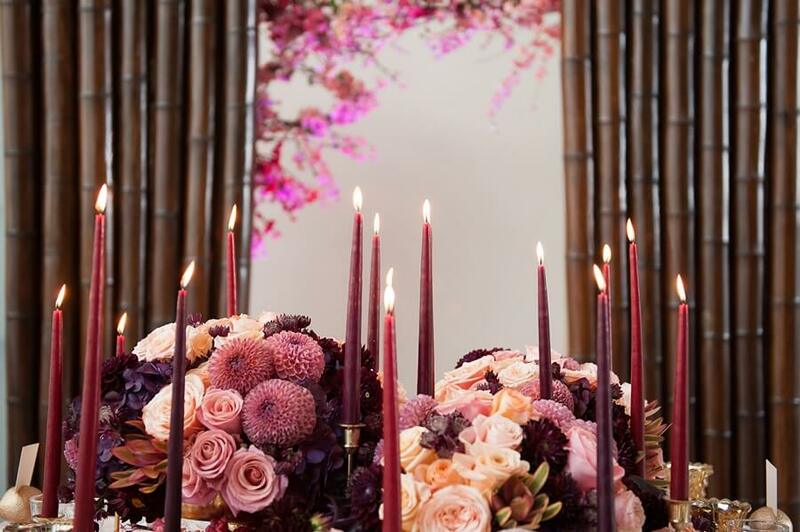 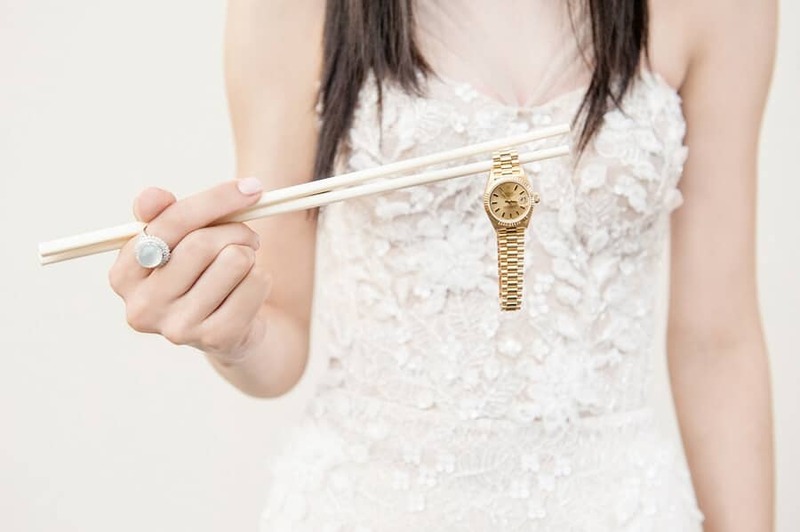 Wendy, Asian Fusion Weddings: Another design feature that our team really encapsulated in both shoots was the “Yin and Yang” concept. 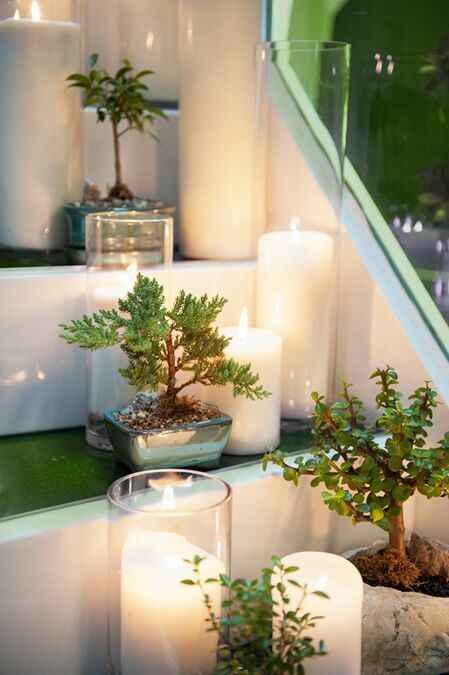 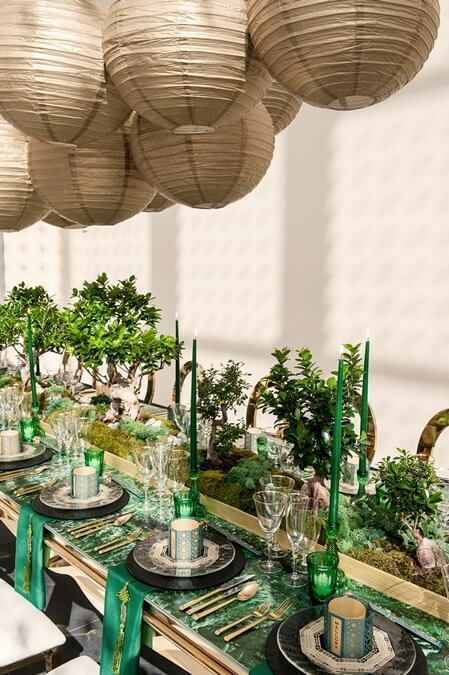 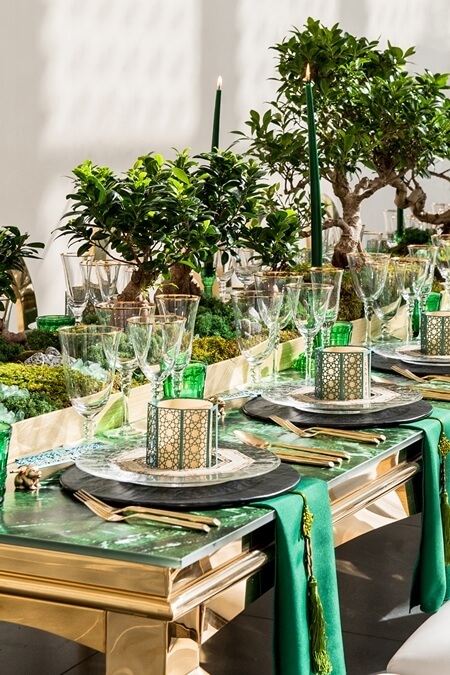 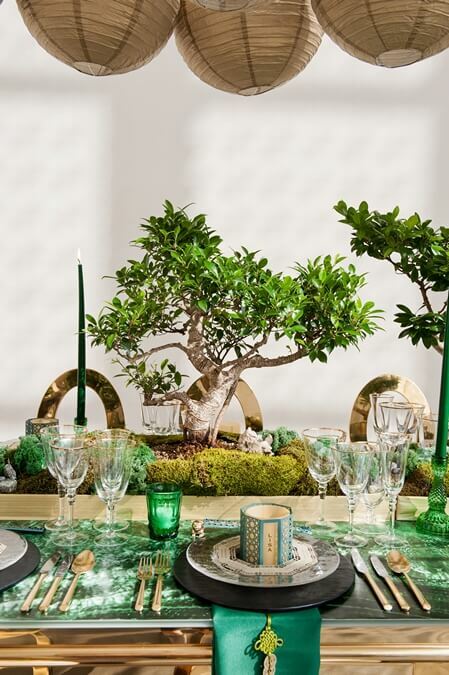 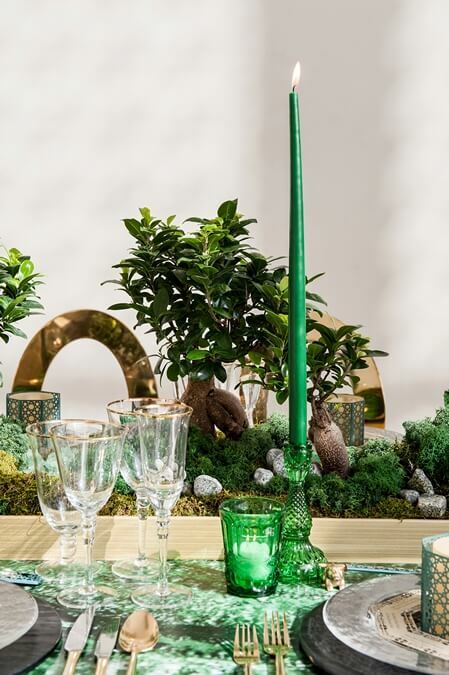 The first table featured a bold approach with the use of Bonsai trees. 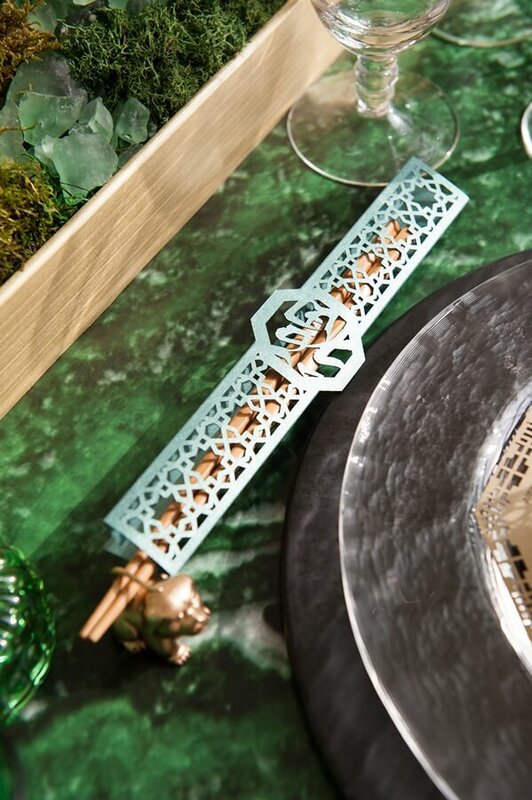 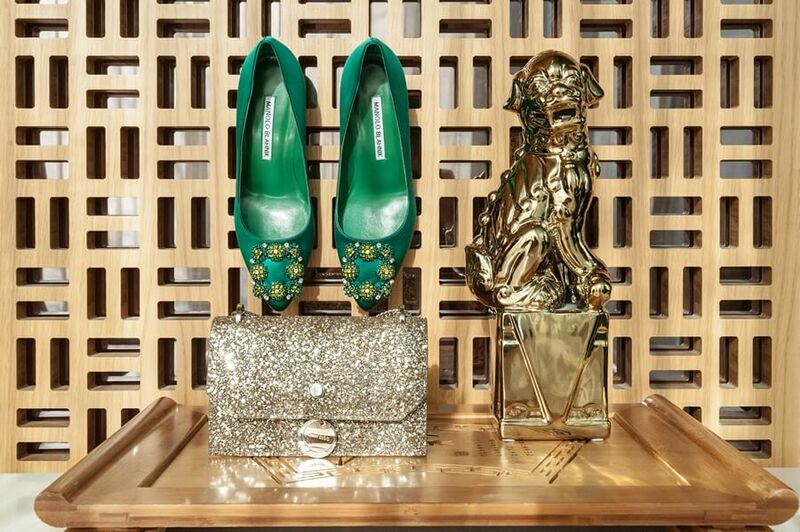 It translated into a more sophisticated masculine feel. 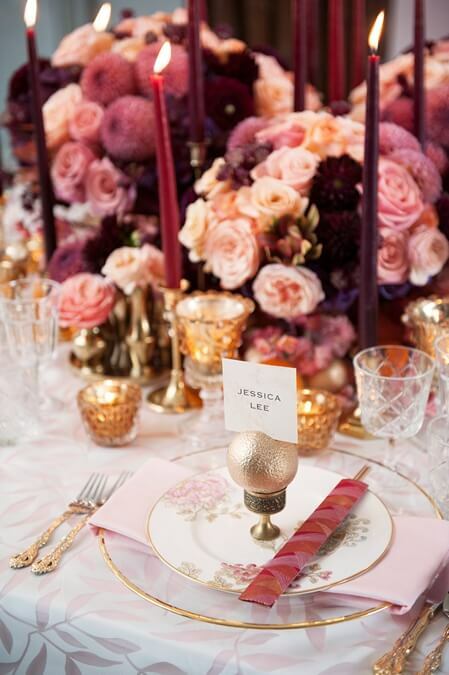 The second table donated a more feminine touch with an abundance of flowers in shades of soft pinks and purples. 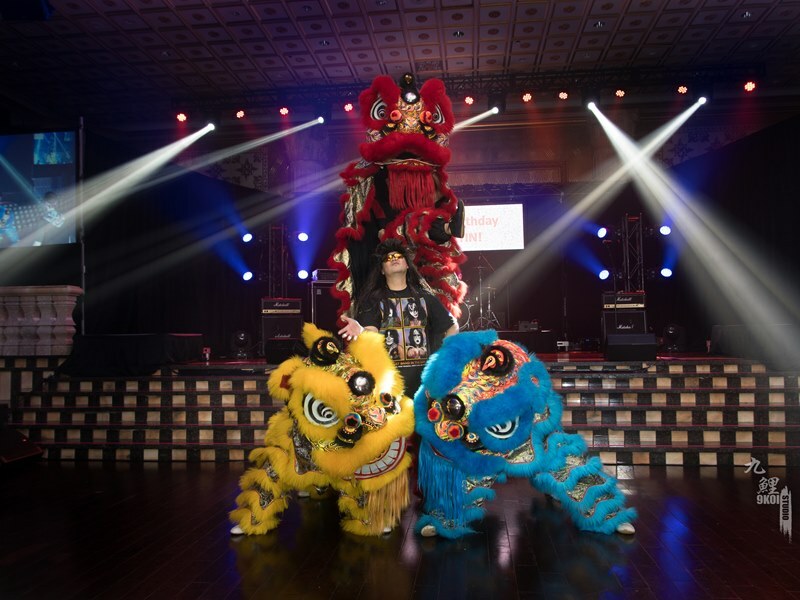 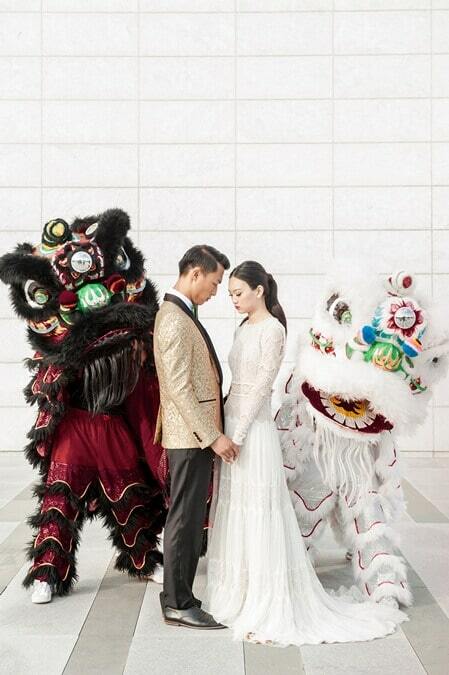 How about these awesome lion dancers from the Wushu Project? 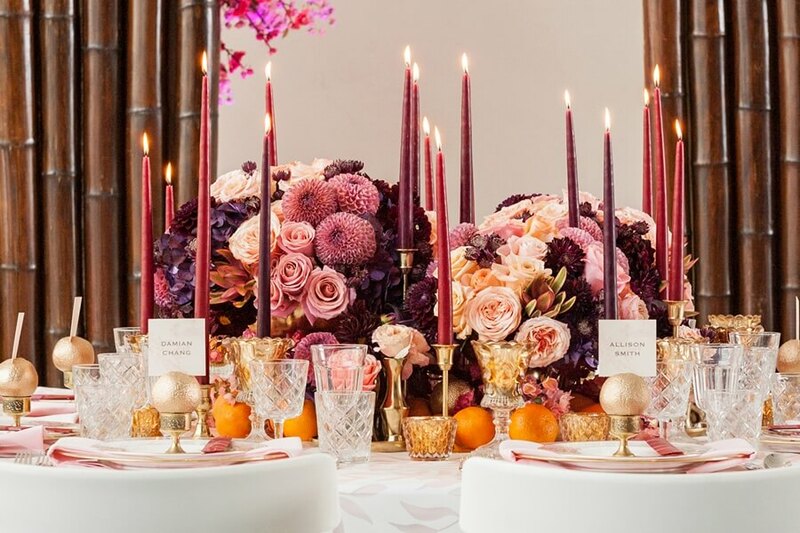 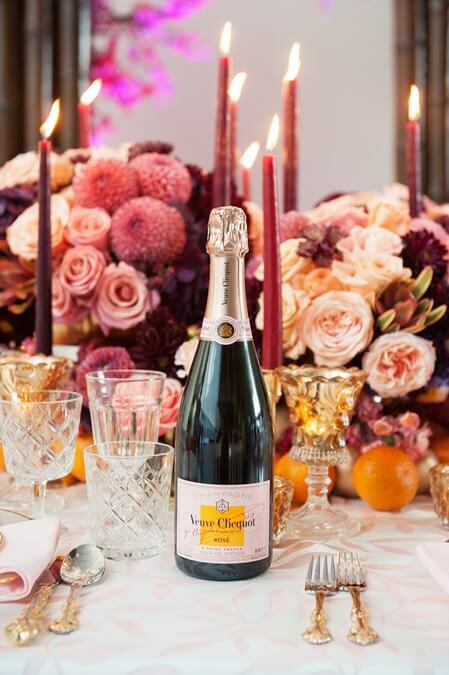 Bright florals, brilliant shades of purple and pink, as well as soft candlelight, brought a dreamy and soft ambiance to the dinner table. 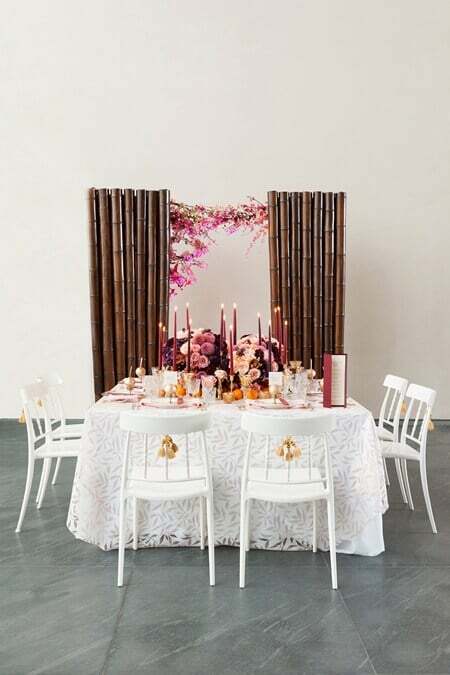 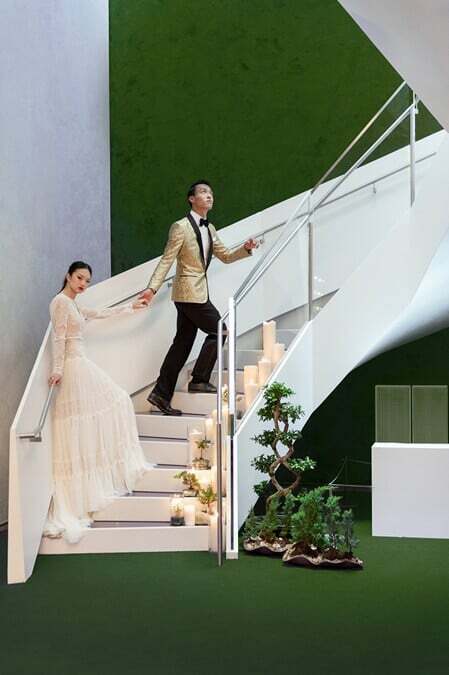 Different textures, including bamboo and lace, created another dimension of yin and yang that parlayed perfectly with the rest of the shoot. 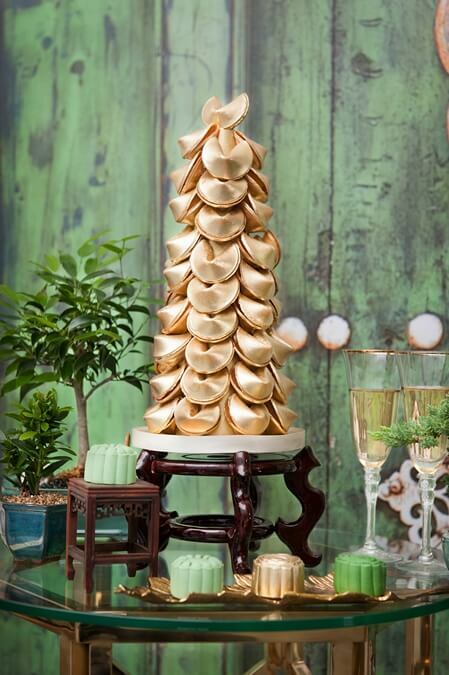 The Shangri-La Hotel, Toronto served as the backdrop for these delicious food shots! 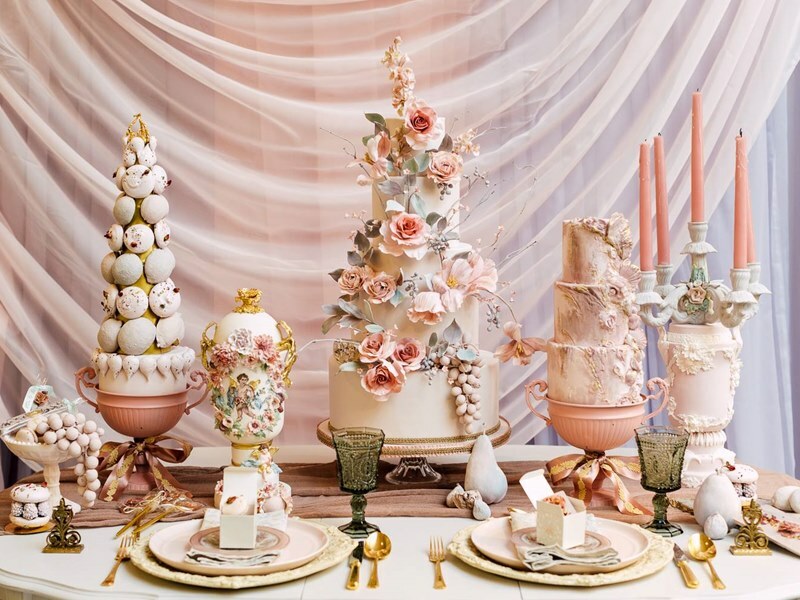 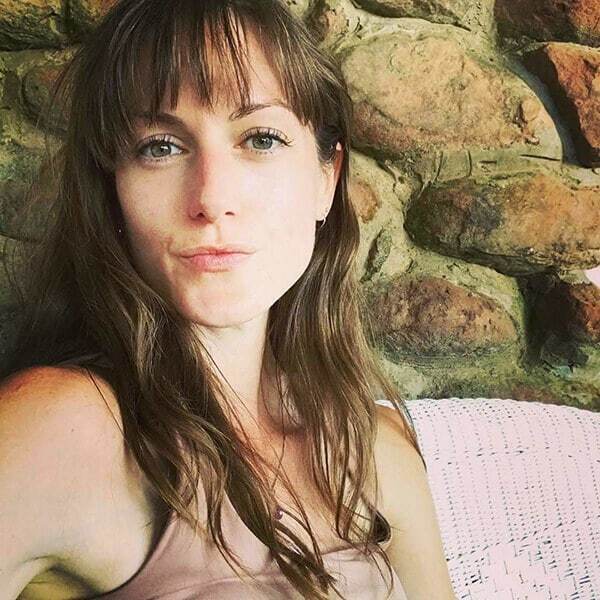 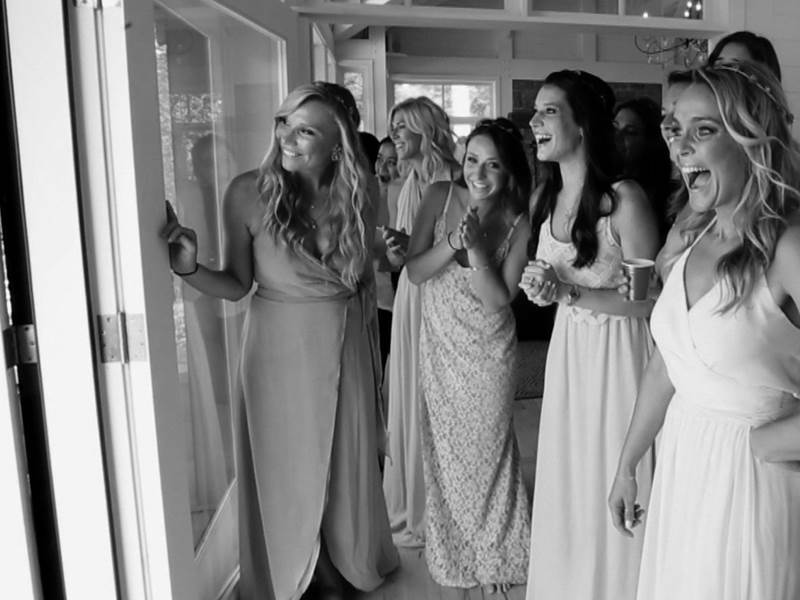 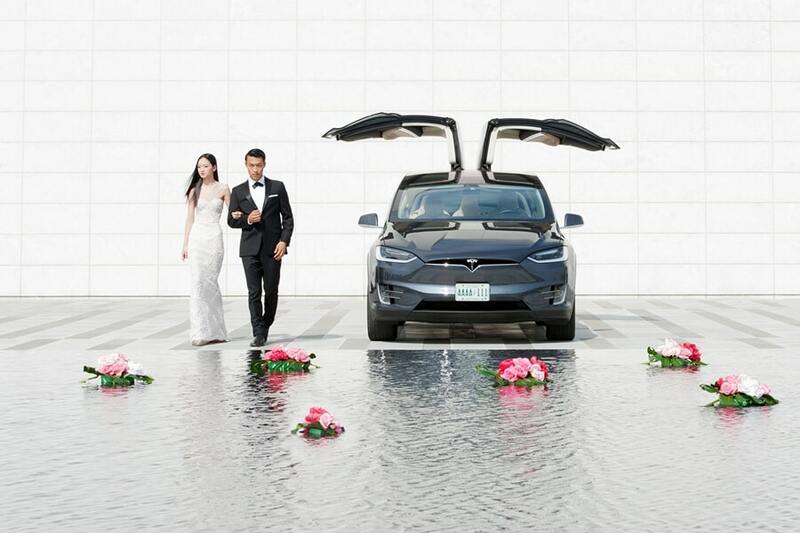 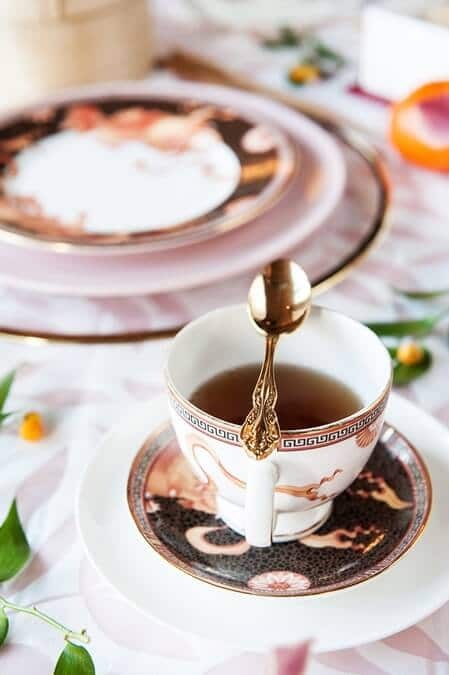 For more information and behind-the-scenes footage from this gorgeous creative, don’t miss the video put together by the team at Images Life Media.